As Handmade U, our sure to be amazing art retreat (based on the most creative ladies coming) quickly approaches I am reminded of the first Art Retreat I ever attended. I was living in Colorado at the time, and needed to come back to Omaha, Nebraska for a work meeting. I was reading a Country Living magazine and saw an article on Silver Bella. It was going to be the weekend after my meeting and I figured I would enjoy spending a few extra days in Nebraska visiting my family. I did take some time to decide...the pictures and projects looked amazing, I loved creating things, but hadn't really made the time to work on projects. I did not know a soul that was going, or really anyone that was into that kind of CRAFTY stuff. It was not cheap either so I thought and thought about it....I realized that I couldn't put it out of my mind and if I didn't do it I would be disappointed and regretful for not making the time for something I'd enjoy and really be inspired by. So I signed up! I figured the classes would be fun and hopefully I would meet a few people that had the same interests as I did.... And did I EVER! I was excited and didn't know what to expect! I showed up and it was wonderful. I met a few gals from Kansas City that took me under their glittered wings and I had the BEST time. Thanks to Kara, Sheila and Ali! One of my first instructors was Charlotte Lyons, she is so very talented! As you will see in upcoming pics, I seemingly stalked her at each event I went to! I actually always just loved the projects that she was teaching, and she has a fun laid back style that I love. After my first event I went crazy...Here is a walk down memory art retreat lane! I attended Spark 1 in Salt Lake City, UT, again knowing no one! Silver Bella 2009, Yes that is Charlotte again, we are wearing our felted hats that I learned to make in her class! The Kansas City girls and I wearing our fun aprons! I learned of Brave Girl Camp from a few gals and decided again to go without knowing anyone. The fun thing is I ended up knowing a couple girls from the Spark event. Best of all I met my sweet friend Lisa who has become a lifelong friend....a crafty partner in crime! Melody Ross and her sister Kathy Wilkins have turned their Brave Girl Camp into an AMAZING beyond inspiring retreat. Here are Melody and I at BGC in Idaho. My friend Kara came up from KC to take an all day class with the cute and fun Claudine Hellmuth in Lincoln, NE. My friend Jen and I decided to attend a retreat in Savannah, GA! We had never been and wanted to see the sights and meet some fun ladies! We met Shelly Overholt, in the middle between us in the pic below. Yes we were suppose to be in Southern Belle Garb! Shelley did I better than us! Shelley will be back for Handmade U 3, her 3rd time!! So fun! Mary Engelbreit had a fun art retreat weekend in St Louis, yes that is her in the middle of us below. My friends Lisa, Kara and I decided to head there together! What a fun weekend. Plus we got to see Claudine again! Another class with Charlotte - YES PLEASE! Kaari Meng of French General hosts the most incredible week in the South of France! I've been blessed to be able to go twice. Once in 2010 and in 2011. This was my 2010 trip. Met incredible ladies there as well! Jo Packham of Where Women Create hosted Creative Connection in Minneapolis. It was a huge convention of ladies in crafting businesses as well as just those of us wanting to learn new things! My friend Lisa and I met there. We were thrilled to run into Melody Ross and Margie Romney Aslett, our Brave Girl Sisters! The Second Spark in Utah I was ready to head out with Lisa yet again, but she had a family emergency. I was lucky enough to find out my friend Dana that I had met at Spark 1 was going again. We were able to share a ride and room and had a blast!! Silver Bella yet again, I hosted a fun swap and was excited to meet all the ladies that joined in! Sheila, Kara and I at the vendor night! Great to see Jenny Doh, another Brave Girls Sister, and once again Charlotte Lyons at Silver Bella. Brave Girls Camp 2011 - Lisa and I at it again. We met another wonderful lady - Michelle! I attended Moulin Rouge in Southern California, May 2011. I knew of people going but wasn't close enough with anyone at the time to bunk up! So I asked the lovely hostess Kim Caldwell and she gave me Denise Hahn's name. Lucky me!! Denise is as sweet as she is talented! She picked me up and we shopped the garment district along with Michelle Geller and Valita Baxley! What a fun day!! Swap exchanges....one of the fun perks at some Art Retreats, exchanging goodies, ephemera, artworks with other crafty artsy ladies!! I can't wait to see what the Handmade U gals come up with this fall!! As an added bonus we went to visit Kaari Meng at French General and took a class with the talented Mother Daughter duo of Debbie Murray and Shea Frangosea. The talented Carol Spinski was one of our instructors! Fun tree class! Then it was time for the First Semester of Handmade U! Fall 2011 With the help and support of my husband Jim and my parents Gerry and Sara we really had a great weekend! Michelle and I, HU's first instructors! Mollie, Stephanie, Michelle, Rachel, Sara, Lindy, Lisa, Michelle, Shelley, Hope, Pam and Nora! Brave Girl 2013...what a great group of girls! My pal Amber! Love her, so funny! Don't even think about touching our Mod Podge!! Camille, Me, Megan, and Johanna. The Craft Pack. Rachel, Shelley, Jodie, Paige, Michelle, Hope, Pam, Michelle, Leslie, Laurel, Mollie and Stephanie. Handmade U - Staff. Sara, Jim, Rachel, Gerry, Michelle and Pam. THANKS! Fast forward 4 years and after 13+ art retreats I have now hosted two of my own, moving onto Semester 3 of Handmade U! I am most giddy when I have ladies email me about never attending an art retreat before and this will be their FIRST! It makes me a little nervous that I am sure they enjoy Handmade U SO MUCH, it makes me work harder to prepare an AMAZING weekend. I have at least 2 ladies coming this time that have never been to a retreat, they don't know a soul. I hope they can look back in a year or two and are thankful they were BRAVE and made their first step into Artsy Retreats!! We have a few spaces left for Handmade U - Fall Semester. The weekend details are HERE. September 20-22 in Omaha NE. Our instructors have COOL, AMAZING, WONDERFUL projects planned! Hope Wallace Karney and Liesel Lund, so AWESOME! Woah! What a post! I remember some of those events! We met at my second Silver Bella! Congrats on using your inspiration to make a dream come true! Thanks Jemellia! Hope you can make a Handmade U one day too! Lots of fun memories! Yes you are a Brave one!! Can't wait to meet you in person! This is so touching! I can't wait to get to know you better. Thank you for all these updates. It has been so much fun!!! What a fun walk down memory lane! We've had some fun adventures. :) Looking forward to many more! So happy you are coming again!! Now I am inspired to push a little harder to come to Handmade U--how can I not, it's in my own back yard!! 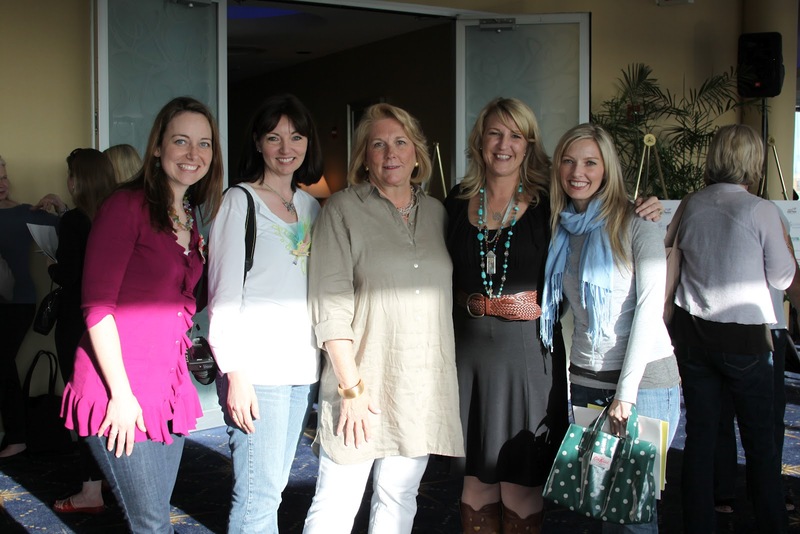 I was at Silver Bella 2010 and met Jenny Doh and Charlotte Lyons--star struck! Would love to have to attend Handmade U Tamatha! We still have room for more ladies!! Let me know if you have questions! WOWWOWOWOWOWIE!!!! This is your best post EVER! So enjoyed it....better than reading people magazine & because the stars are REAL! What a beautiful walk down memory lane & I felt like I was there for a lot of it. How cool was this post. It makes me want to dive in & do so much more! I can't wait to come to my 3rd Handmade U....I am so excited! I love you Rachel! Love this post...all the familiar faces! Silver Bella was the starting ground for making so many friends like YOU and MICHELLE! And, then all the other fun retreats just followed...Looking forward to making new friends at Handmade U! Thanks Stephanie!! Can't wait to have you back in Omaha!! We are going to have a great time once again! Handmade U looks awesome!! You go girly! Handmade U Sponsor #15 - Sherri Welser!